Captions can provide a much better user experience for your entire audience. When you create your video with narration, you often want an easy way to add captions to display in the video during playback. For some, especially in any government or education role, these tools are essential to supporting Section 508 and ADA compliance. Captions are also important for users who want to watch video without sound and for discoverability. Both Screencast-O-Matic Free and Deluxe Users have always had the ability to add captions files to the video during the publish process. A standard captions file (format as .sbv or .srt) can be created and added when publishing to Screencast-O-Matic or to a video file. Recently we added a captions button to the video preview. Video preview can be a more natural point in your workflow to add captions. As before, you can still add captions from the publish menu. We extended captions capability for Deluxe Users, who now can use an interactive text editor to create captions for their video while in the Video Preview. 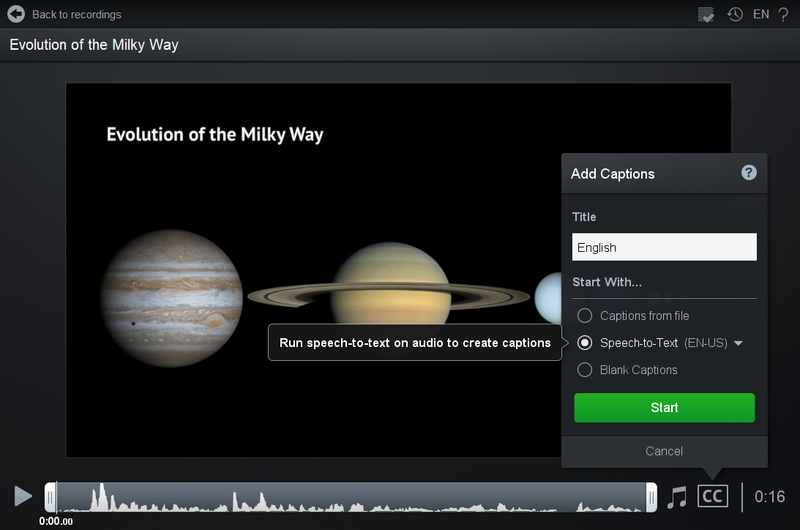 In addition, Deluxe Users can use the Speech to Text engine available and have their narration turned into captions automatically. The Speech to Text translation is part of your Deluxe Subscription at no extra cost. 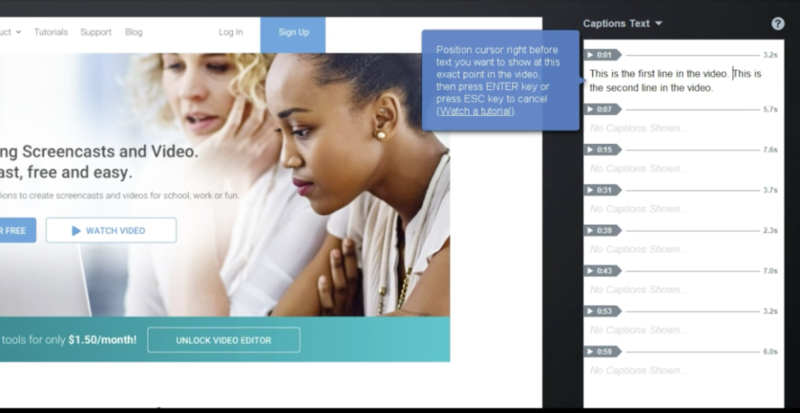 These are powerful tools that make working with captions super easy and enable you to deliver a better user experience while supporting your compliance needs.